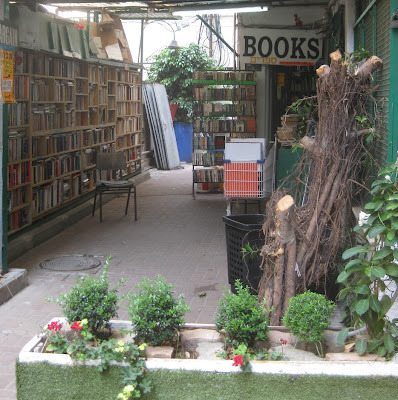 Last weekend my girlfriend and I visited every bookshop on Tel Aviv's Allenby Street for an article she wrote (in Hebrew) about this small, local version of London's Charing Cross Road. One of my constant gripes about Tel Aviv is that it's very difficult to find decent English books at a decent price, and this little tour served as a great example of this problem. There are 12 bookstores on this stretch of less than one Kilometer (a little more than half a mile), including three Russian bookstores (two new, one used), one Spanish bookstore, one store that specializes in music and chord books. 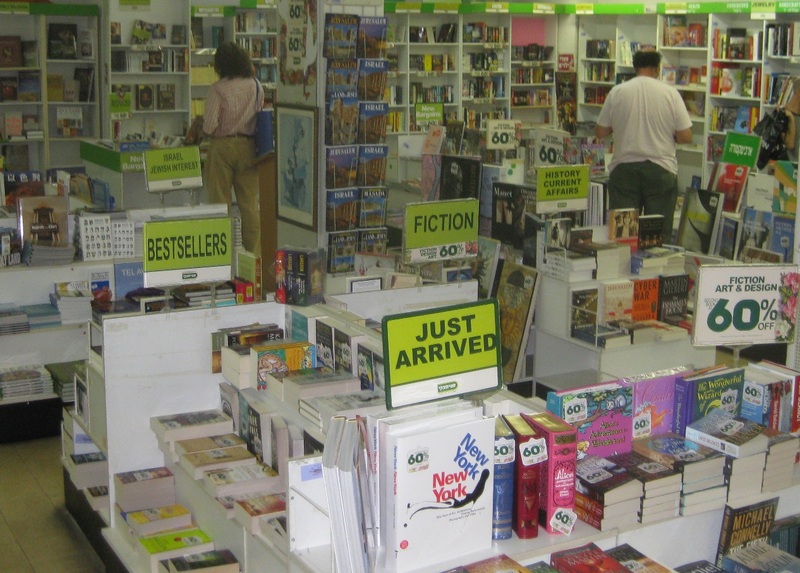 There's also one independent store, Lotus Books (Allenby 101), that has a well-curated collection of new and used Hebrew books, and one chain store - Steimatzky (Allenby 107) which has a relatively large selection of English books on the lower level. Four more used book kiosks have mostly Hebrew books, with a few English paperbacks, usually in miserable condition. The main store on this street that caters to readers of English is Halper's Books (Allenby 87), which probably has the biggest selection of used English books in the city. I used to come here quite often when I was an undergrad at Tel Aviv University, but after living in New York City for almost 4 years, I guess my constant trips to the Strand have made me a bit spoiled. I try to avoid mass market paperbacks, especially used ones, and hardly ever purchase a book with markings inside. Halper's, unfortunately, has plenty of both. Granted, the really miserable looking books are usually very cheap, but I think every used bookstore should have some minimal standard for the books it sells, and heavily marked, crumbling, or torn books do not only make for a miserable shopping experience, but also reflect badly on the books around them. 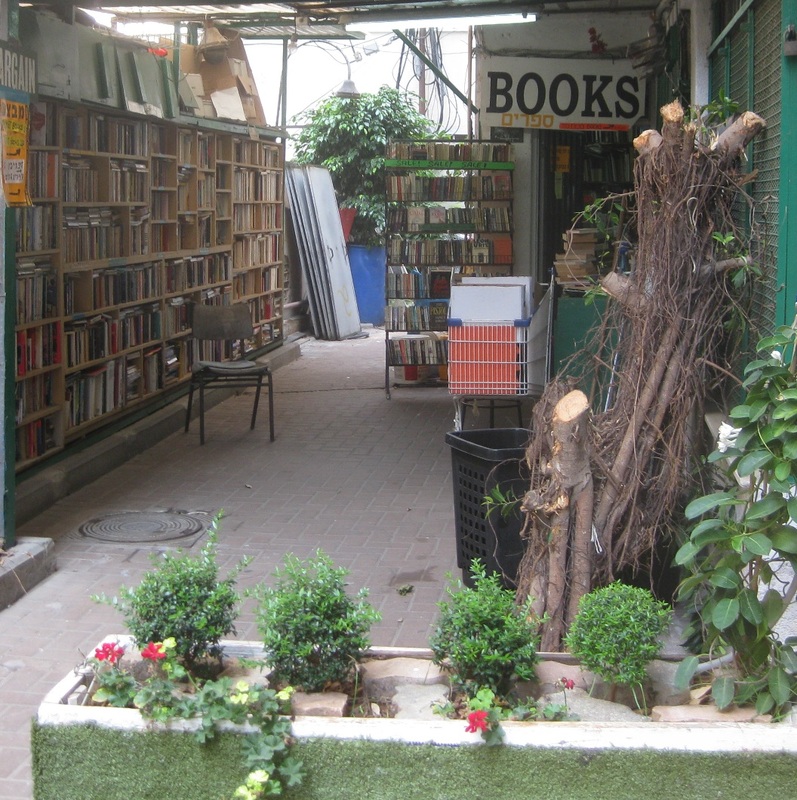 The selection offered by Halper's, though broader than most other bookstores in Tel Aviv, is still fairly limited. I don't know whether they imported books at any point in the past, but it's certain that they have not done so in several years. You may find bestsellers from recent years, but don't expect to find any recent literary gems. 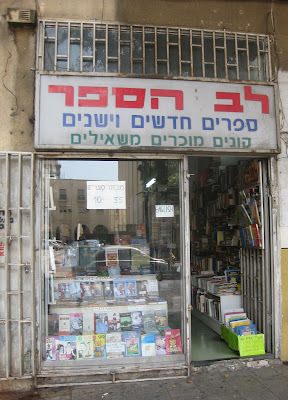 This is also true of Israel's two bookstore chains - Steimatzky and Tzomet Sfarim (The Books Junction) - both have one or two flagship stores that contain a larger selection of English books (Steimatzky, aside from the Allenby branch, has another store at Dizengoff 109; Tzomet Sfarim has the "Library" branch at the Dizengoff shopping Center and the "Prose" bookstore at Dizengoff 163) but their selection is fairly hit or miss. You can find the "big" books of recent years - the best sellers, the prize winners, and so on - plus a selection of classics, some big name authors, some sci-fi / fantasy, lots of Grisham, Coban, etc. But don't come looking for anything too obscure or specific because you're bound to be disappointed, especially if you're looking for anything translated into English (other than books by Israeli authors). what better place for a fiercely independent bookstore? I've been dreaming of opening an independent English bookstore for years, but I realize this would be a significant investment in something that's probably not going to make a lot of money, and as a starving artist of sorts I can't really afford to do that. I envision this store as a sort of public service to fellow anglophile - bibliophiles, a place where they could also attend readings and other cultural events, so if there are any generous book-loving millionaires out there willing to invest, I'm open to all offers (as for a suggested location - see photo above). I feel the same about opening an independent English bookshop, and I think it would be even nicer with an included coffee/tea/pastry shop. Unfortunately, I am not a millionaire. If you find one, hit me up. I have some great ideas. I would be more interested to see a fiercely independent Hebrew/Arabic bookstore that makes an effort to support local Israeli/Palestinian literary small presses and the self-published, hand-made, DIY books by living poets and writers of the area. Instead of trying to transplant your own culture in a place where it may not be viable, why not support the expansion of local culture? Hello...check out "Tunisian Arabic in 30 lessons"